Born in Cape Town in 1914, Ken came to England in the 1930’s to play for Aston Villa. He never made the first-team but in 1937 he was signed by Port Vale for what was reported as a “sizeable fee.” He played just six games, scoring one goal before the globe-trotting Fish was off again – joining Swiss side Young Boys in 1938. However, Fish returned to the Valiants in August 1939 and as well as playing he was employed at the club’s trainer. Sadly, the advent of WW2 disrupted football and Fish enlisted in the army. Returning to England after the war, 31 year-old Fish appeared to have shelved his globe-trotting ambitions and had a lengthy twelve year spell as the Vale trainer. It even included a period as caretaker manager in November 1951 with Fish winning one of his four games in charge. Fish was also the trainer during the legendary 1953-54 record-breaking season. 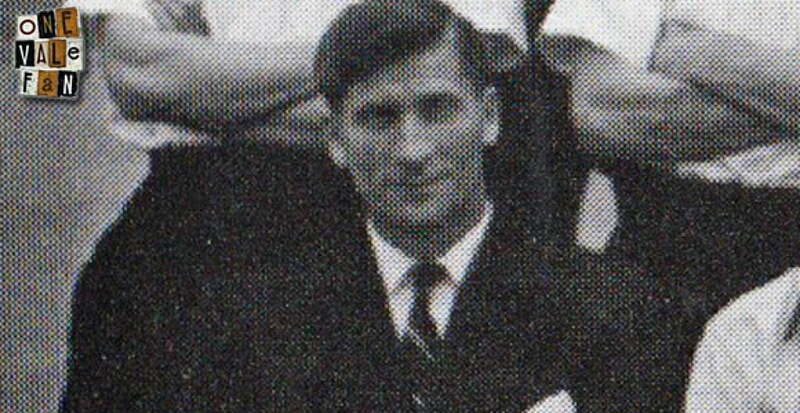 Ken finally ended his twenty year association with the Valiants in 1958 joining Birmingham City and then Oxford United. He showed similar loyalty to the U’s – he was employed by the club for twenty years and held in such regard that manager Maurice Evans sent him up the Wembley steps to receive Evans’ League Cup winners medal in 1986. It was a fitting honour for a man who, at the time, had been involved in the game for almost fifty years. Fish passed away in 2005 aged 91. However, his legacy lives on as he is remembered as a loyal club servant of not one, but two football league clubs.